A professional table cover is important if you want to stand out at any indoor or outdoor event. Unfortunately, that’s easier said than done. You may not know what table you’ll be provided with when you arrive. 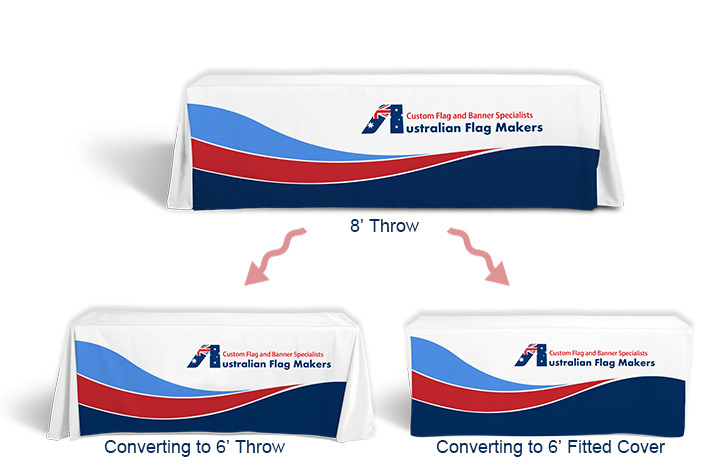 Australian Flag Makers has solved this problem with convertible table throws. They easily accommodate the two most common table sizes, and they can even be converted from a loose table throw into a fitted table throw. A stunning table cover can really enhance the overall look and feel of your business, ultimately encouraging more people to step foot inside your trade show booth or store. In order to get the kind of table throw you’re looking for, it should be completely customized to your unique needs. Every one of our convertible table throws shows off your logo or message with your choice of digital or sublimation printing. Different materials can be used that are perfect for indoor and outdoor events. 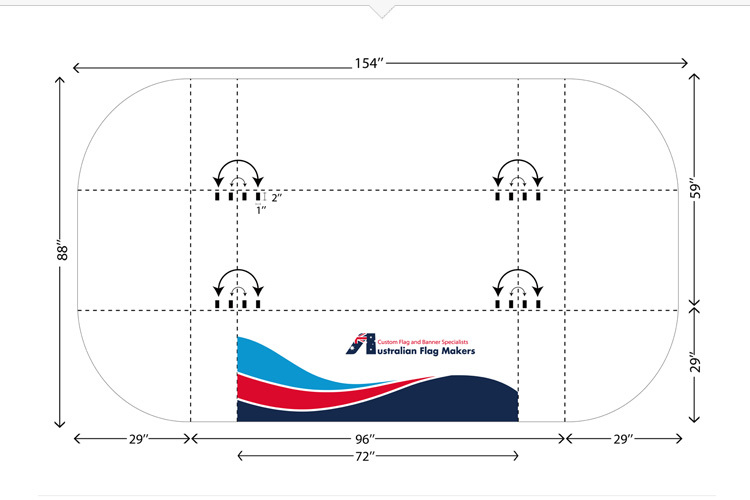 Our versatile table throws are completely convertible, so you can walk into your next trade show with confidence. 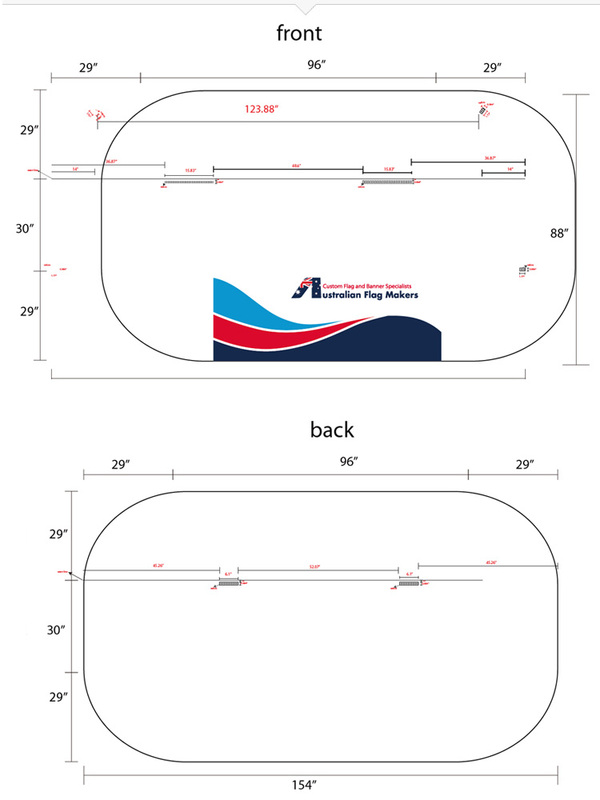 Whether you’re provided with a six-foot or an eight-foot table, you can use our convertible table throw to create a custom display. There’s no need to carry two, or more, different tablecloths around! Is your booth a little bit smaller than you expected? Instead of draping the cloth loosely over the table, convert it to a fitted cover and prevent tripping hazards. Our convertible table throws are literally three tablecloths in one! Your choice of materials, high-quality inks, and printing methods mean that we can customize a convertible table throw to fit your budget. Contact us today to learn more!